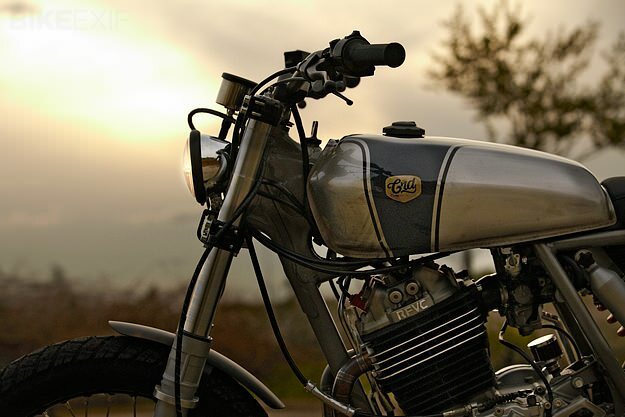 Here’s the latest custom to roll out of the Madrid workshop of Cafe Racer Dreams. Once again, there’s an off-road influence—but this time, the Spanish workshop has taken a dirt bike and realigned it for road use, rather than the other way round. 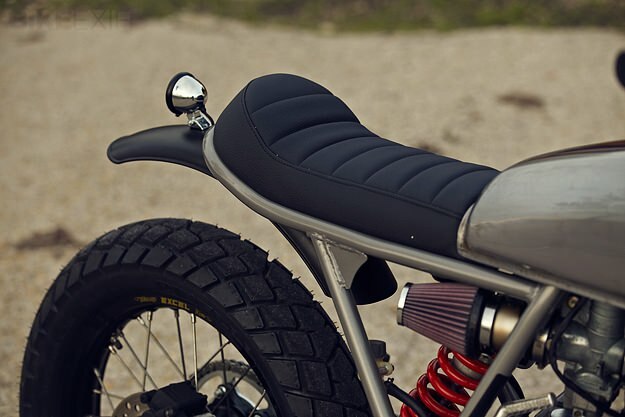 CRD #19 is called ‘Apolo’ and is based on a 1991 Honda XR600. 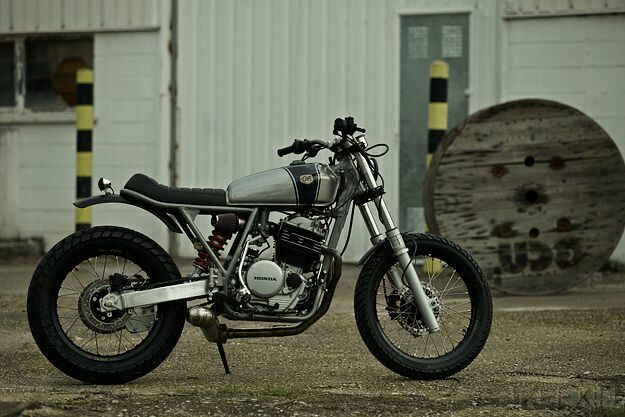 After a complete strip-down, the entire rear of the chassis was rebuilt to take the new seat unit and a sleek new tank—stolen from a Honda CG 125. It’s completely transformed the look of Honda’s venerable thumper without compromising off-road ability. The wheels have been swapped out for classy Excel rims—19” at the front and 18” at the back—shod with Pirelli Scorpion MT90/AT dual sport rubber. 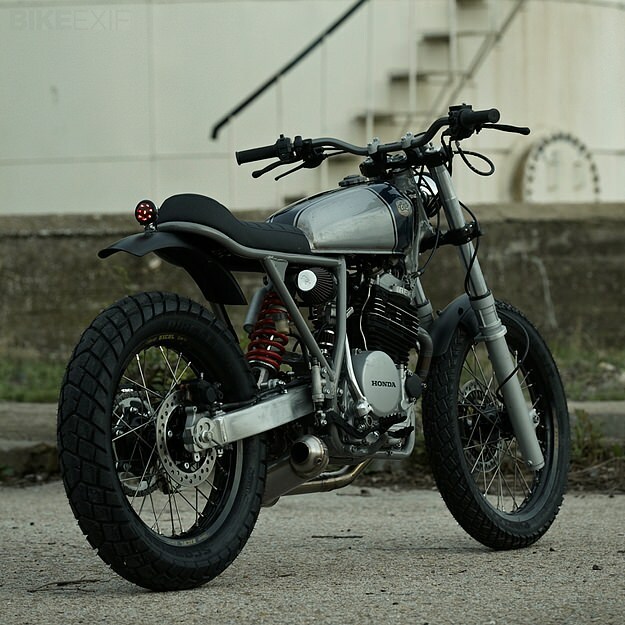 The XR600’s gutsy air-cooled motor needed no improvement aside from K&N filtration. 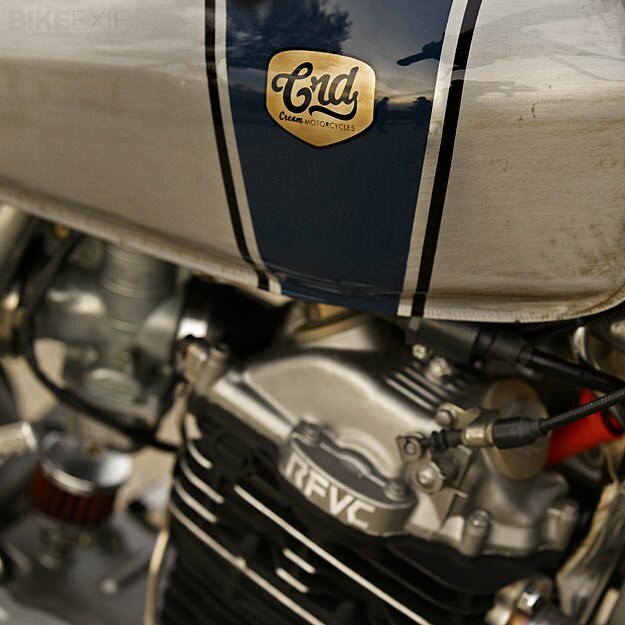 (In case you’re wondering, the ‘RFVC’ labeling on the cylinder refers to Honda’s Radial Four Valve Combustion valve layout.) A handmade exhaust system from Spanish company GR liberates a few more horses. Custom parts include CRD’s own headlight and taillight designs, and CRD bars. And it’s all topped off with a low-key, monochromo paintjob. 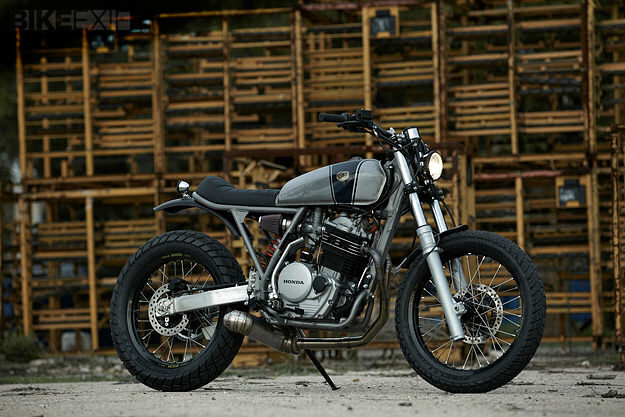 Two decades after it was built, this XR600 has been transformed into the perfect weapon for Madrid’s tight city streets and the mountains beyond. I’d put it in my garage—would you?